I love reading blogs, it unearths all sorts of valuable information! 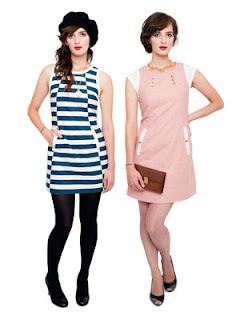 Just today I stumbled upon independent sewing pattern company, Victory Patterns, thanks to a post by Lazy Stitching. Have you heard of them before? Victory Patterns are created by Toronto designer and sewing teacher, Kristiann Boos, who launched her first six pattern this November. As far as I can tell Victory Patterns are only available as PDFs at the moment, but that certainly keeps buying costs down and eliminates P&P costs too. 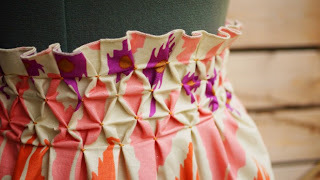 I also spotted a great tutorial for a Smocked Honeycomb Skirt on Kristiann's blog. This is a technique I've never tried before, so I'm excited to give it a go sometime soon. I look forward to trying out Victory Patterns (I'm torn between Ava and Chloe to begin with) and following the company's progress. If the patterns are anywhere near as good as Colette or Sewaholic, then us sewing folk are in for a treat methinks! 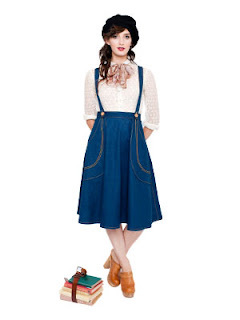 Its always nice to discover new independent pattern companies. I looked at the tutorial, and I am definitely going to try that as soon as my waistline goes back to normal. Wow, cute. I've never heard of them either. I love the Chloe dress... $10 CAD isn't too bad! Thank you so much for sharing, these patterns look amazing!!! 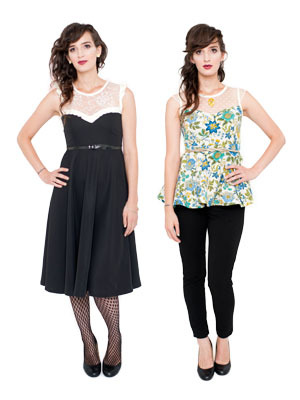 I love the Ava and Madeleine patterns. The only thing is I hate having to stick together printed patterns. I think for these gorgeous patterns I could make an exception though. 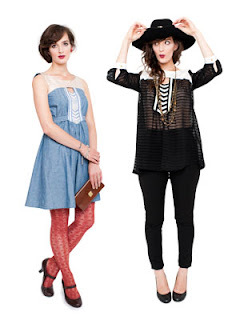 Love the Ava top and Anouk Blouse! I am totally going to give these a whirl myself - thanks for sharing! I LOVE PDF Patterns! It makes it so easy to start a project on a whim. Oh fab find Marie!! I love the Hazel design too - how wonderful! One tip I find good for PDF patterns: stick all the pages together but then use swiss tracing paper or similar to trace out the pieces. Then you have a ready-to-use pattern that won't slip or tear over time - folding and storing those PDF print outs usually ends up making the sellotape slip so this sorts it out for you. I'm so pleased this post was of interest, I just hope these patterns live up to their beautiful covers/descriptions. I've already bought Ava and Chloe, so I'll keep you all posted!